The complex summit of 1559-m-high Inielika volcano contains 10 craters, some of which are lake filled, located in a 5-sq-km area north of the city of Bajawa. The largest of these, Wolo Runu and Wolo Lega North, are 750 m wide. A chain of cinder cones, the Bajawa cinder cone complex, extends southward to Ineri volcano. 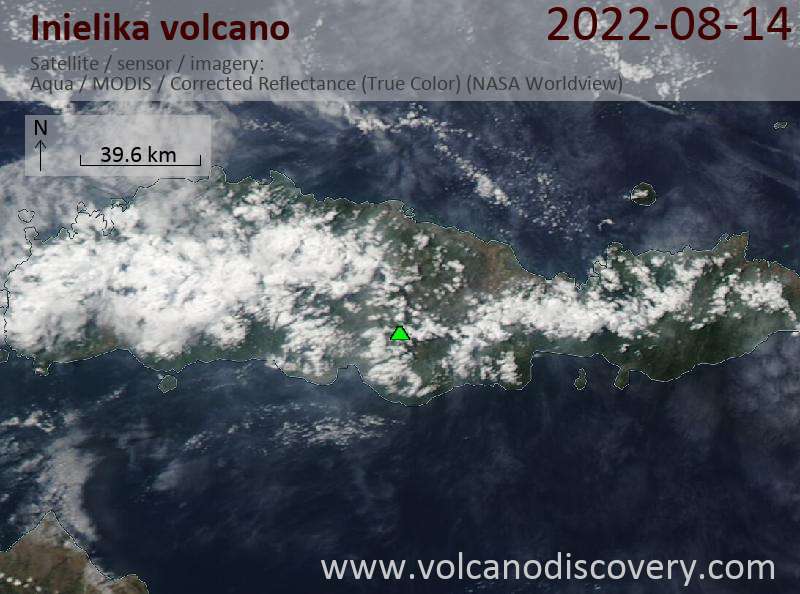 Inielika volcano erupted between 11-16 January 2001. 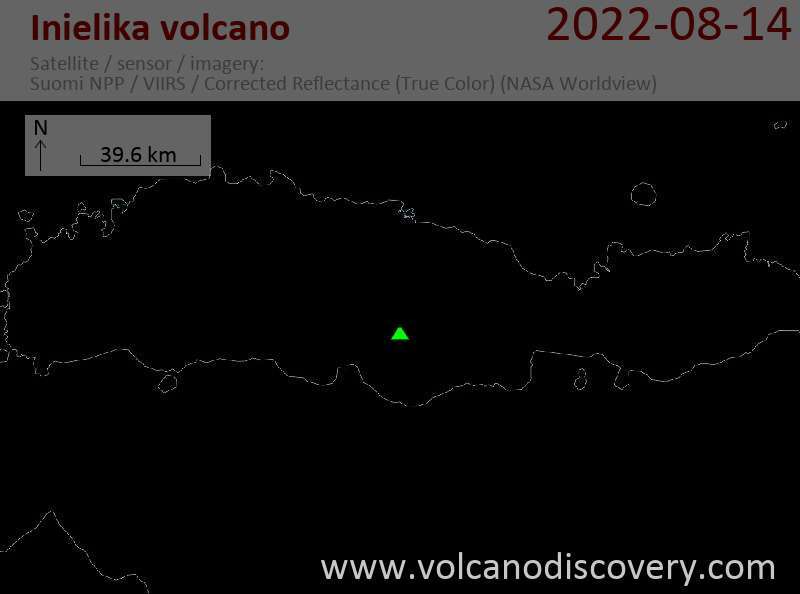 Numerous explosions, some with thundering sounds audible up to 8 km away produced ash plumes that reached heights of 1 km above the volcano, causing light ash fall in the immediate surroundings up to ca. 10 km distance. 2 new craters were formed by the (phreatic?) explosions, the larger one to the SE 50 m wide and 10 m deep, and a smaller crater to the NW 20 m wide and 1 m deep.